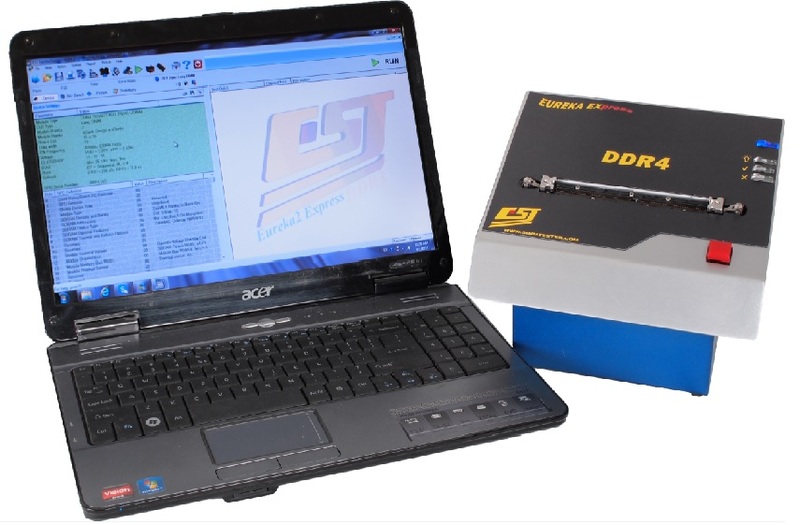 Thursday, August 28, 2014 CST Inc., A 30 years privately owned Memory Tester Company has announced its New Eureka Express –DDR4 Memory DIMM Tester. As prominent member of JEDEC (the memory standardization association), CST understands the advantages of new DDR4 memory. DDR4 can double the bandwidth and speed of your computer memory while lowering the power and battery consumption. To propel DDR4 memory from validation stage to mass production, test infrastructures are required. CST, Inc. started DDR4 tester development early and achieved a prototype tester in Q4, 2013. This tester design rides on its past DIMM tester experience through feedback from customers. The most important thing was to validate the tester with different types and configurations of DDR4 modules. During the last 2 quarters, CST has collaborated with OEM customers to collect and to test various kinds of DDR4 modules. Today, CST is proud to release its DDR4 DIMM tester for immediate shipment. 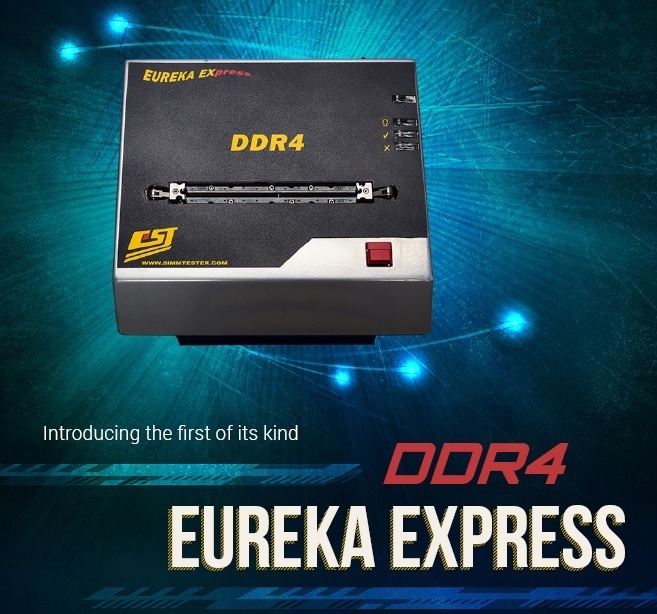 The new Eureka Express-DDR4 tester is capable to test the PC4-12800 (DDR4-1600Mhz), PC4-14900 (DDR4-1866Mhz), and PC4-17064 (DDR4-2133 Mhz) Long DIMM Memory Modules module. With a simple push button, the Eureka Express – DDR4 tester quickly auto-identify and displays the memory size , clock frequency, speed, Unbuffered (UDIMM), Registered (RDIMM) or Load Reduced (RLDIMM) memory module. It even reads and programs SPD EEPROM on the DDR4-SDRAM DIMM. The New "Eureka Express DDR4 DIMM" tester provides added troubleshoot capability for the present and future DDR4 memory modules at affordable prices. It is targeted for the DIMM manufacturers, computer OEM, computer integrators, memory distributors, and service depots. It is indeed the fastest tester and the easiest to use in its class. A desktop PC or Laptop is required for interfacing with the Eureka Express. The Eureka Express-DDR4 tester can also be interface to CST ‘s RoboFlex Handler System for mass volume testing.